In celebration of its 40th anniversary this year, Morton's of Chicago at Mandarin Oriental Singapore introduces a selection of mouth-watering seasonal items as part of their new Autumn menu. 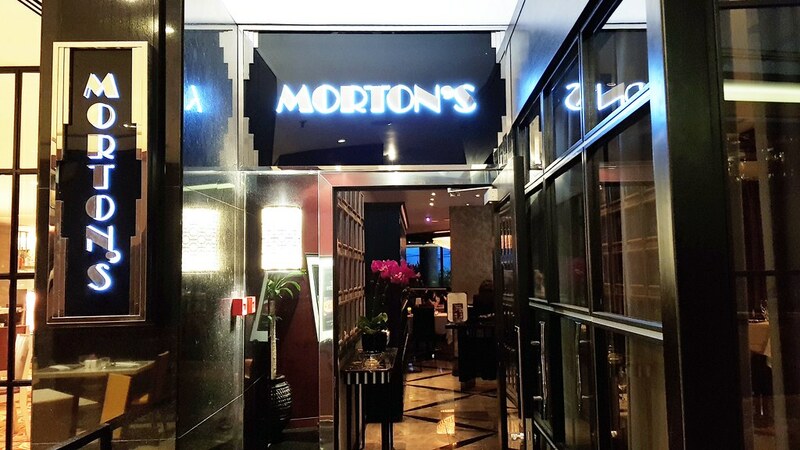 Morton's of Chicago also kicks up the festivities a notch with its all-natural, hormone-free tender cut for diners to indulge in this season. One of my favourite dish is the All Natural 10oz Filet with Bone Marrow ($108) which boosts an exceptionally smooth texture for the meat. While the filet is lean and lacks marbling, the robust fatty coverted bone marrow was a great complement to the meat which enhances the flavours and textures of the dish. 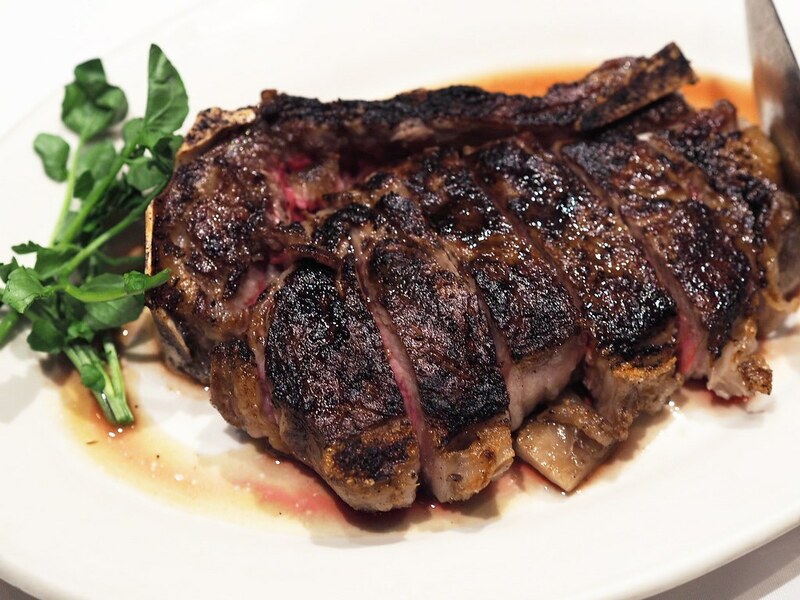 The Dry-Aged Prime Bone-In New York, 18oz (S$138) features a fine silky marbling and firm texture. 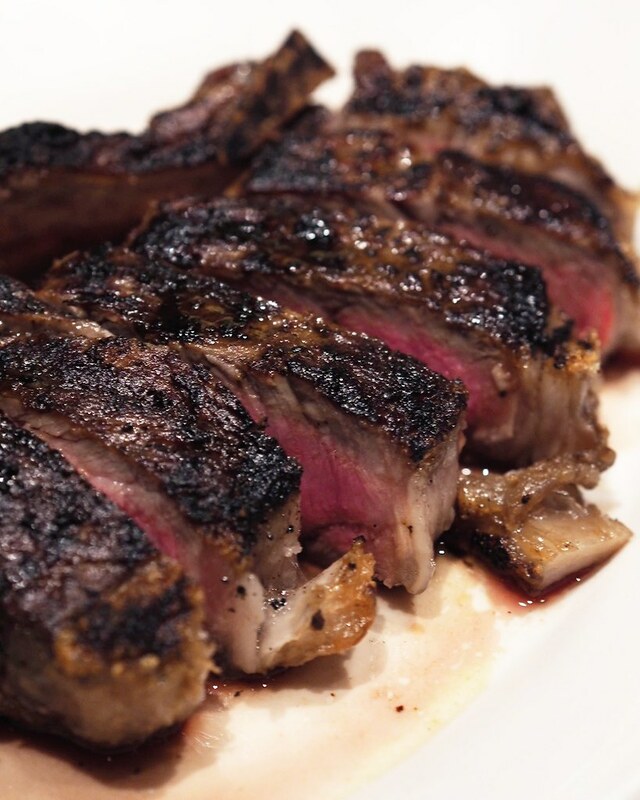 By removing moisture through the carefully managed dry aging process, the steak’s natural taste is intensified to give a full-bodied flavor and succulent tenderness in each bite. Back by popular demand, the Nueske’s Bacon Steak (S$20) was a combination of both bacon and steak. Prepared in a similar method as to a traditional steak, the thick-cut apple-smoked pork belly was coated with an autumnal sweet mustard glaze to provide a sweet flavour to the savoury dish. 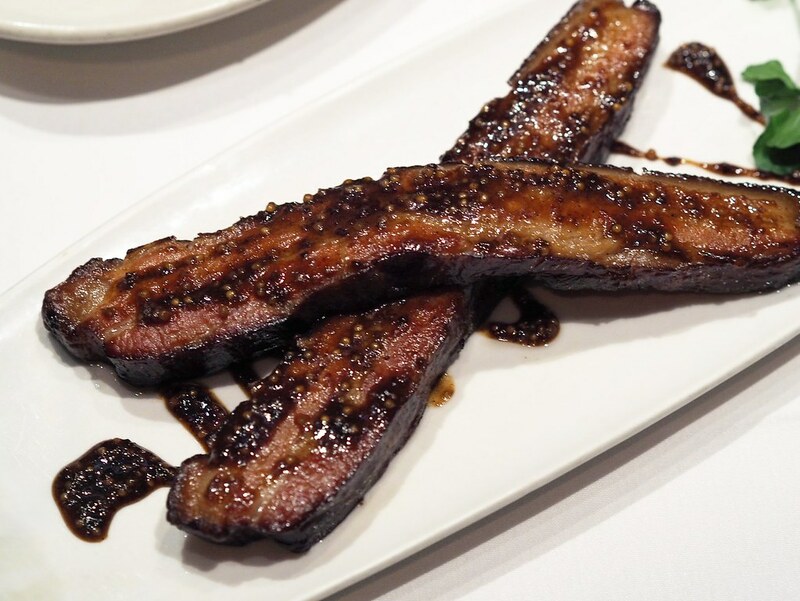 This sweet-savoury roasted slab of bacon, along with its juicy fats was an absolute enjoyment, ideal for sharing as an appetizer or as a side dish to accompany Morton’s selection of mains. We had some of their seasonal sides which were best paired with the richly-flavoured meat dishes. 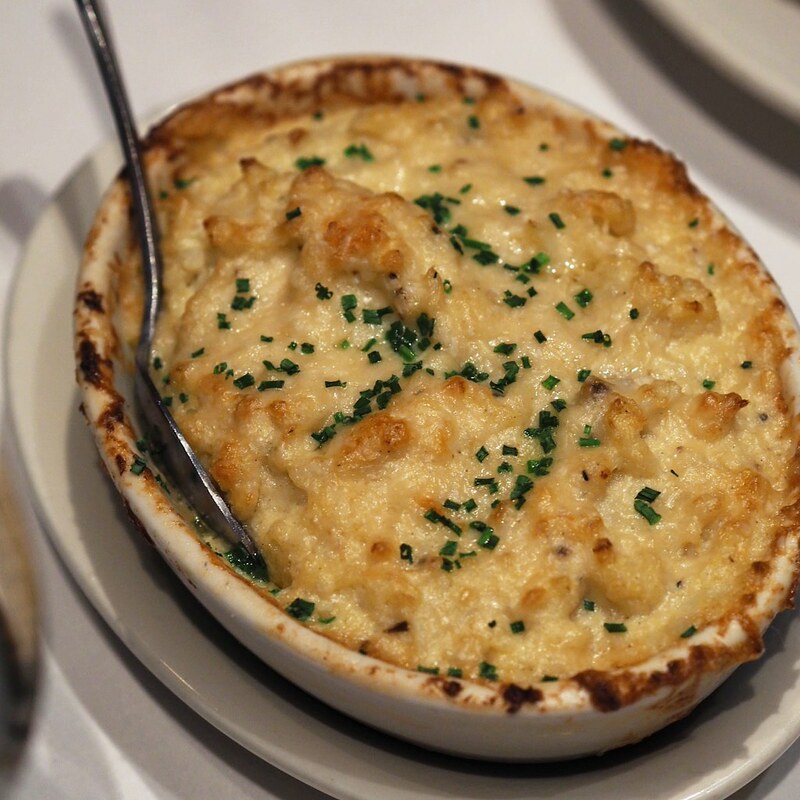 The Truffled Mashed Cauliflower ($28) was a light accompaniment to the hearty steaks, with its soft and fluffy cauliflowers exuding a strong whiff of aromatic truffle to tease the tastebuds for more. 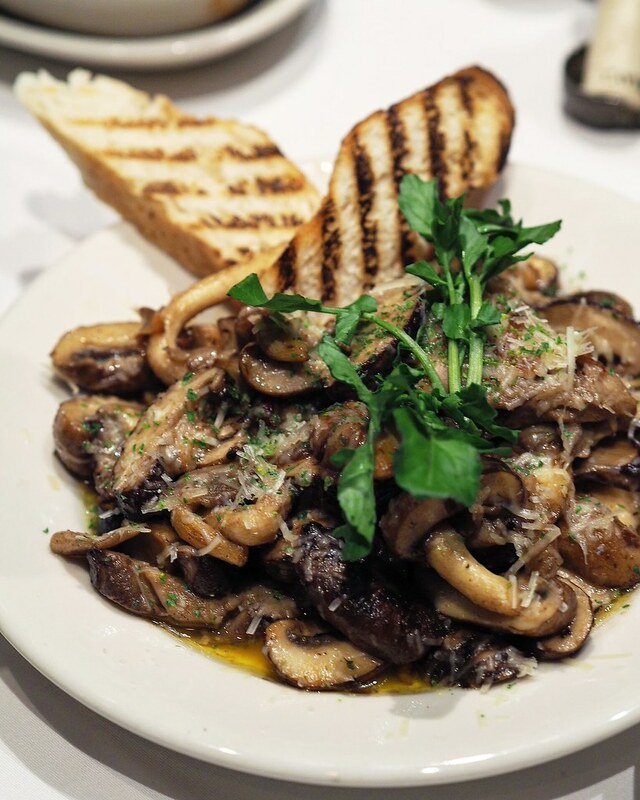 The Sauteed Wild Mushrooms ($23) features cremini, shiitake and oyster ceps, sautéed with butter and garlic and served on top of grilled golden baguette slices. Flavourful with a subtle saltiness, the dish is full of buttery and creamy goodness filled with heaps of juicy shiitake mushrooms. 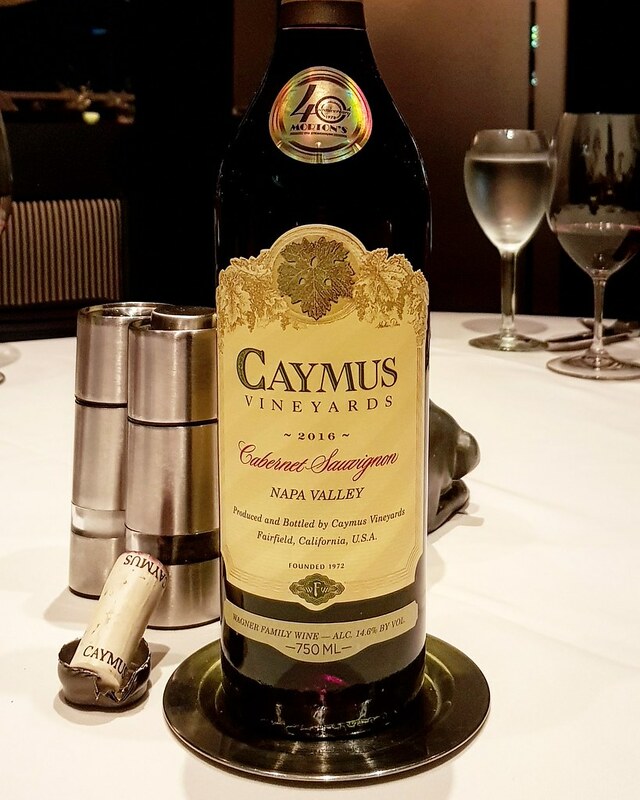 With robust flavors setting the tone for a fall meal at Morton’s, the steakhouse’s 2015 Caymus, Cabernet Sauvignon from Napa Valley, is highly recommended as a tableside companion. Enjoy a specially-priced bottle at $180 while supplies last. 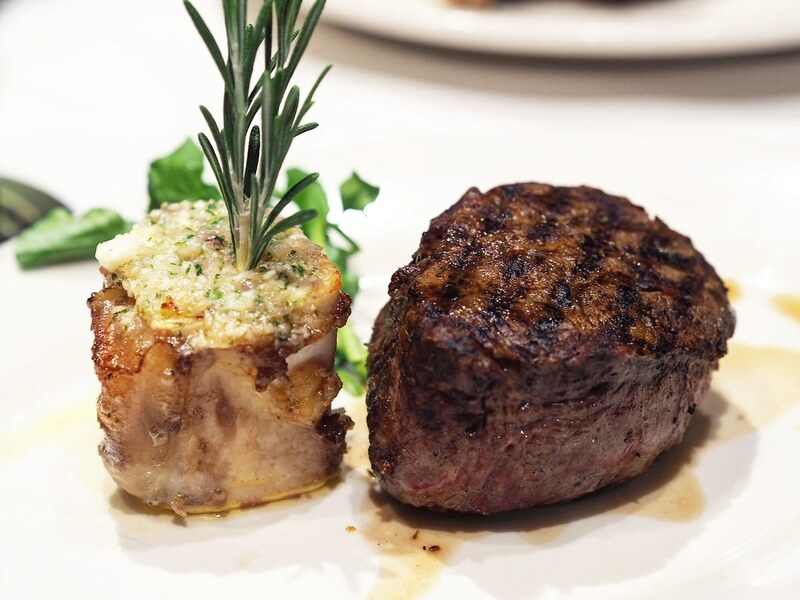 From now through December 30th, guests can also enjoy a fabulous Steak & Lobster dish for $108. The succulent 8oz. Filet topped with a Whole Maine Lobster & Bearnaise sauce is bound to satisfy even the most fervent of carnivores. 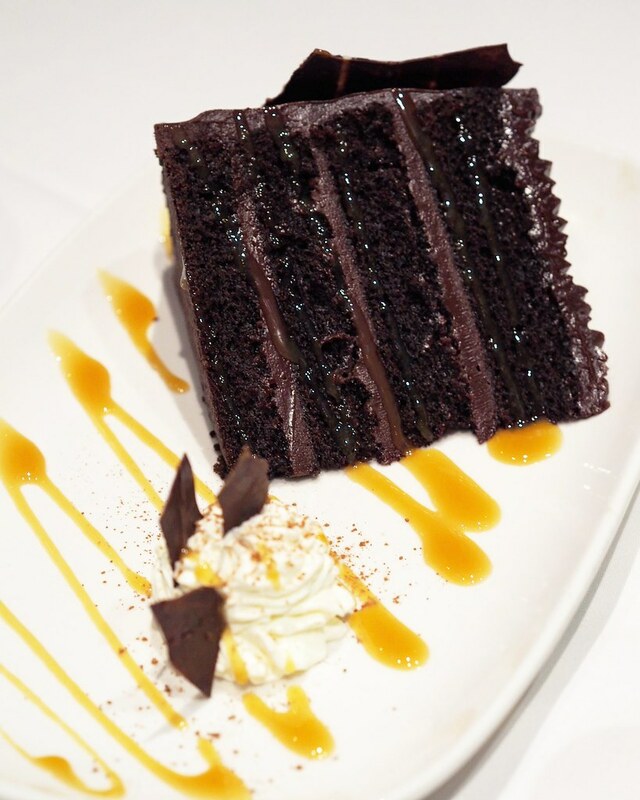 No meal is replete without sweets, and Morton's of Chicago sets the bar high with a repertoire of sweet delights, especially their all-time favourite Morton’s Chocolate Layer Cake ($24) which comes in a towering rich chocolate goodness and a drizzle of salted caramel to balance it off.